Thinking about hardwood floor refinishing and ready to sell his home, Mr. Wesinton knew how important it was to have beautiful floors before putting it on the market. He gave us a call to rejuvenate and restore his entire first floor which was over 1200 sq. 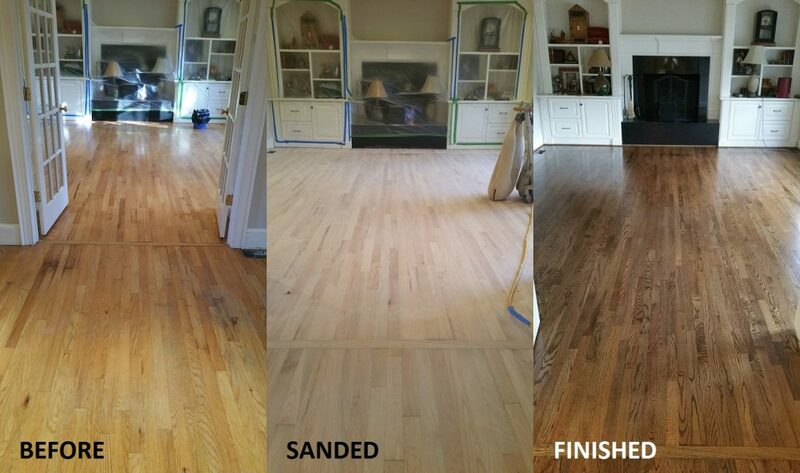 ft. We sanded the entire first floor utilizing our dust-less process, followed by the careful selection of new stain. Once the stain dried, we put down 4 coats of our premium polyurethane with a finish of Mr. Wesinton’s choice, to really make them shine. Amazed at the results, he let us know that many interested buyers complimented him on his floors at the open house. Needless to say, his house sold within a week of being on the market.